The Shabbat-O-Gram is sponsored by Liran and Rebekah Raz in honor of their daughter, Annabelle, becoming a Bat Mitzvah. 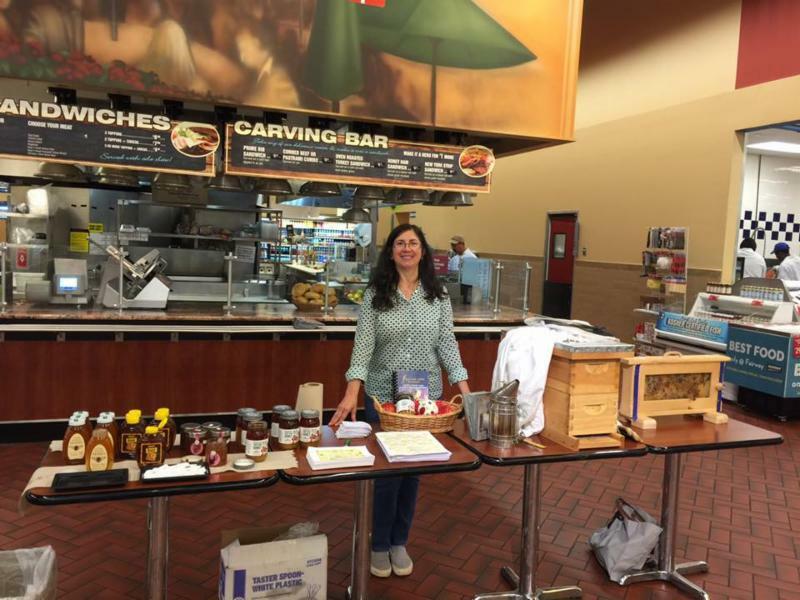 TBE's Beth Boyer, a bee keeper and honey producer, sharing some sweetness at Fairway in Stamford last Sunday, another example of "Public Space Judaism" at its best. Did you know that a teaspoon of honey is the life-work of twelve bees? See Beth's Bee and Honey Factsheet. Mazal tov to Annabelle Raz, this Shabbat's Bat Mitzvah. And see what last week's Bar Mitzvah, Josh Schulman, had to say about Pokemon and his Torah portion of Ki Tetze. This week's portion of Ki Tavo contains a long litany of curses (over 50 verses, which drew the short straw and will be reading). You can see them in Deuteronomy 28. When you read them carefully, they seem less like warnings and more like a compilation of our greatest fears and nightmares, sort of a Deuteronomic dystopia. With dark dystopias all the rage these days, thanks to series like "The Hunger Games," I looked more carefully at these curses to see which ones would resonate most with our popular culture. You've got your basic Zika virus curse, in verse 21: The LORD will make the pestilence cleave unto thee, until He have consumed thee from off the land, whither thou goest in to possess it). "Cursed shalt thou be when thou comest in, and cursed shalt thou be when thou goest out." "The LORD will smite thee with madness, and with blindness, and with astonishment of heart." The LORD will smite thee with consumption, and with fever, and with inflammation, and with fiery heat, and with drought, and with blasting, and with mildew; and they shall pursue thee until thou perish. And thy heaven that is over thy head shall be brass, and the earth that is under thee shall be iron. The LORD will make the rain of thy land powder and dust; from heaven shall it come down upon thee, until thou be destroyed. The stranger that is in the midst of thee shall mount up above thee higher and higher; and thou shalt come down lower and lower. "The strangers who reside with you shall be to you as your citizens; you shall love each one as yourself, for you were strangers in the land of Egypt." So perhaps this litany is more about consequences than curses, and the greatest curse is not what fear imagines, but the fear itself. As the High Holidays draw closer, my colleague Rabbi Amy Eilberg has created a helpful study guide to the Jewish practices surrounding forgiveness. We'll be discussing it tomorrow. You can download it here. I've always been wary of numbers; statistics can be manipulated in any direction, as we see daily in political polling. But with the New Year and the US elections approaching, now is as good a time as ever to take our demographic temperature. The Steinhardt Social Research Institute at Brandeis has some interesting new data to explore. First, the US Jewish population. When we look at the Jewish population data, an interesting trend continues to emerge: the increasing percentage of those who consider themselves to be Jewish, though not by religion. "Overall, the data synthesis yields an estimate of 4.2 million adults, or 1.8% of the total US population, identify as Jewish when asked about their religion. 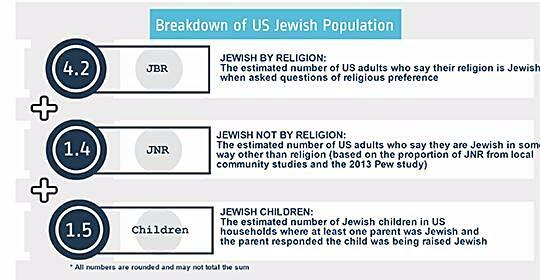 Adjustments based on supplemental sources of data to account for Jewish adults who do not identify when asked about religion and for children results in an overall population estimate of 7.16 million." The idea that nearly 30 percent of adult Jews choose to classify their Jewish identity in terms other than religion is fascinating and informative. One could chalk it up to the increasing number of religiously blended families, as well as to the number of millennials who classify themselves as having no religious affiliation at all, the "nones" as they are called. It's noteworthy that in Israel this week the Shalom Hartman Insititute is ordaining its first class of "secular" rabbis, men and women who share a view that is inclusive, pluralistic and non-denominational. Many Israelis also classify themselves as secular, though proudly Jewish. Perhaps we are seeing the influence of that Israeli brand of secular Judaism over here. 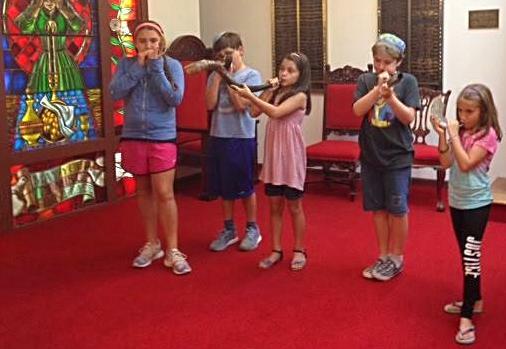 But what does it really mean to be "secular" or "religious," when there are now secular synagogues and secular rabbinical schools and Israelis are also increasingly flocking to secular Talmudic academies? I'll be exploring this question over the next few weeks. 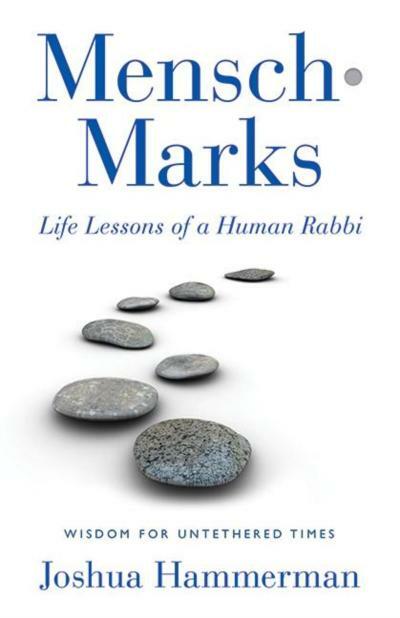 Suffice to say for now, Jewish ethics, such as I've shared in my Mensch*Marks series, helps to bridge that secular-religious gap. Historically, Jews rarely thought of themselves as a religion. Only in the post-Enlightenment West did that occur; in France, for instance, with Napoleon separating Jewish peoplehood from the Jewish religion. In America, the idea of Jews as primarily a religious group arose after World War Two, when the new enclaves of suburbia featured synagogues alongside churches, as explained in Wil Herberg's classic mid-century book, Protestant, Catholic, Jew. So now the idea of Judaism as primarily a religion is breaking down. But that does not mean that secular Jews aren't religious. We're just religious in a different way than Christians. Unlike in Christianity, one can be very Jewish, and indeed very religious, without prayer, faith and, to some degree even God, entering into the equation. One of our great challenges as a progressive synagogue is to reach out to that 1.4 million "non-religious" Jews and demonstrate to them that there is great personal value to their affiliating and helping to build community here. read more about the survey in this JPost article. Now, as for the Jewish electorate, see below what the Steinhardt Institute says (for a clearer version of this chart, click here). To no surprise, Jewish continues to be blue-ish. To see Jewish voting records from prior Presidential elections, click here. And now, like Friday's double Mannah in the Wilderness, your Shabbat Mensch*Mark For Elul 21, delivered in advance. How can a student make his/her teacher wiser? For a student to learn, she must be willing to ask questions and challenge a teacher. This in turn gives the teacher the opportunity to learn as well. The ideal teacher-student relationship is one in which both are in the pursuit of knowledge and truth and neither is interested in merely proving himself/herself right. The Talmud tells the story about Rabbi Yochanan and his favorite student, and later learning partner, Rabbi Shimon ben Lakish. After Rabbi Shimon's death, Rabbi Yochanan became very despondent, and the other rabbis arranged for Elazar ben Pedat to study with him. Each time Rabbi Yochanan would voice his opinion, Rabbi Elazar would add, "You are right. There are authoritative statements from the Sages that confirm your opinion." From Rabbi Yochanan's perspective, a student who is always agreeing, and who is too respectful to challenge and question his teacher, causes his teacher to stop growing. Of equal importance, by being assertive and questioning, the student is able to grow in knowledge and wisdom. The Talmud reveals that Rabbi Lakish grew up among gladiators and bandits and, as a young man, was totally ignorant about Judaism. After a few years of studying with, questioning, and challenging Rabbi Yochanan, he grew into one of the greatest sages of his age.